You can send password-protected PDF files from the Connected Desktop to non-clients/guests of your SmartVault account via your computer's default email client. Note: You cannot send any other file type except PDF, and you cannot use Gmail or any other browser-based email service. Before sending, you can make document and page-specific changes, such as including/excluding annotations, deleting a page, editing the pages sent, and editing a page's orientation. 1. Locate the file you want to send to your client in the Connected Desktop. 2. 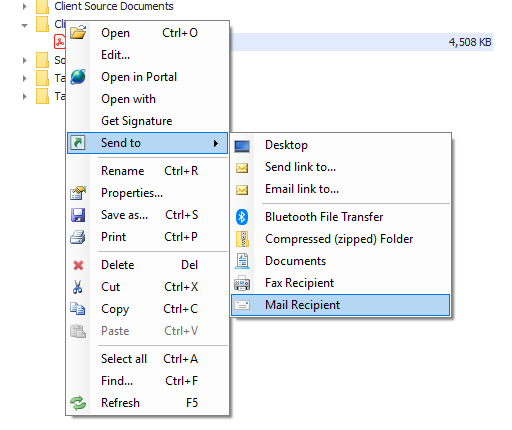 Right-click on the file(s) and select Send to > Mail Recipient. 3. 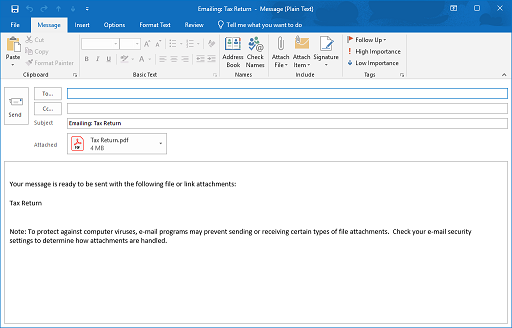 Enable the Password protect all PDF documents sent in this email checkbox and click Send. 4. Enter a password for the file. Note: You will have to provide this password to the recipient. 3. Click OK. 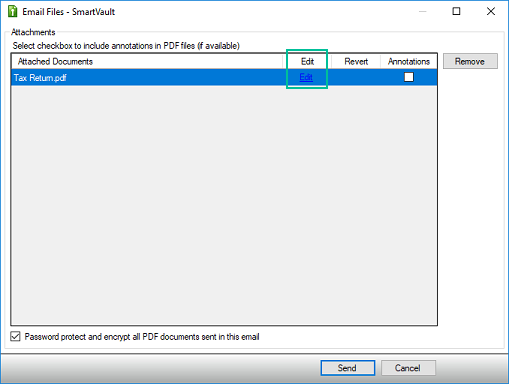 The PDF is attached to an email in your default email program. 4. Enter the email address(es) for your recipient(s) and click Send. Annotations are comments or notes already in the PDF document. This option allows you to include or exclude the existing annotations. 3. Disable the Annotations checkbox for the PDF(s). Note: Annotations are selected by default. 3. Click Edit for the PDF from which you want to remove a page. 4. Right-click on the the page you want to delete and select Delete selected. 3. Click Edit for the PDF from which you want to remove pages. 4. 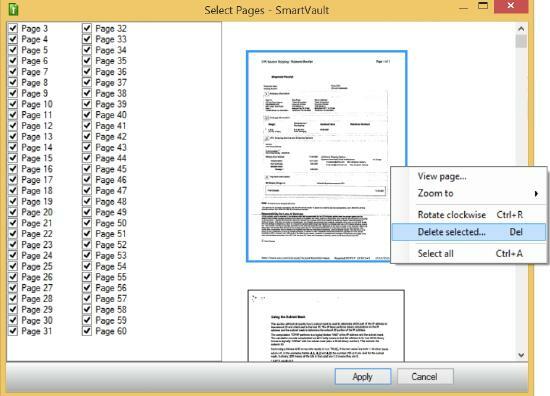 Enable the checkbox for the pages you want to keep in the PDF, and disable the checkbox for the pages you want to remove. Note: You can select multiple pages at a time by selecting more than one page (press Shift or CTRL while selecting the pages) and then enable or disable the checkbox for one page. 3. Click Edit for the PDF from which you want to edit a page's orientation. 4. Right-click on the page you want to reorient and select Rotate clockwise.